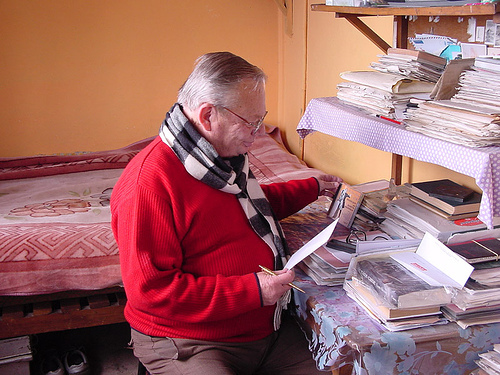 The idea of reading the work of RUSKIN BOND, the well known author was pending for a long time. As my daughter kept on advising me to read his works, I decided to buy one and found a book called ‘A HANDFUL OF NUTS’ by the said author. At first, I was not much interested, but when I finished reading the book, I was moved verily by the humorous yet powerful narration about the author’s young age encounters and adventures in terms of his love, profession and acquaintance when he was just twenty one. It reveals that the author often leads a very simple life as the earning of Mr. Bond was very meager those days to lead the standard lifestyle. Though his bank balance was just Rupees Two Hundred and Fifty only those days, his aspiration to succeed was so big, that took him to success as a great author, during his later part of life. As a matter of fact, it never occurred to me to write a review for the literary type of book, yet I took fancy to do so for this fabulous book of Ruskin Bond ‘A Handful of Nuts’. The struggle of this writer who began his writing career those days and his aspiration towards success was the main theme of this autobiographical book of the author. His book shows his efforts to continue as a writer by living on its meager income with no ones support literally in 1955, the year when he was too young. Mr. Bond’s writing is rather clear and understandable by all and very humorous even when he explained about his tough times, as he could have believed “tough time will never last”. One effective point the reader could understand from the author's word is, in spite of the struggle, he was always cool in handling situations, and often enjoyed his life in a simple but pleasant manner. He had manageable contacts, acquaintances, and friends, thereby making his life easy. The highest level of his sense of humor was the best plus point. In his book, Mr. Bond takes the reader with him in order to visualize those days’ fashion, beliefs, culture, trend and lifestyle etc. He makes the reading pleasant through his simple yet expressive way of writing which makes the book not to put down by the reader at any point of time. Each and every incident that originally occurred in his life was explained in his own style there by making the reader laugh aloud. Especially his love intended for ‘Indu’ (his one side love) which turned to Maharani ( Indu's mother) and the series of unpleasant incident occurred thereafter was such a hilarious comedy for every reader. He took few of his characters and gave life to it so that it looked more real than it could have been actually. Sitaram, his only assistant/support, Indu, his so called lover, Maharani, Indu’s mother , William Matheson, Suresh Mathur, and Jai Shankar were the characters which were crafted and refined by the author and given to the reading public for their clear cut understanding. The pleasantries and bitter moments of his early days, during 1955 was depicted in a finest way adding humor to life that makes any one to believe and remain self confident at all times.